The birding is still "pretty good"
It’s late August, and BirdNote is imagining the bird life at Garrison Keillor’s mythical Lake Wobegon. The loons are now quiet. And the Purple Martins that nested outside the Chatterbox Café? They’re headed for South America. 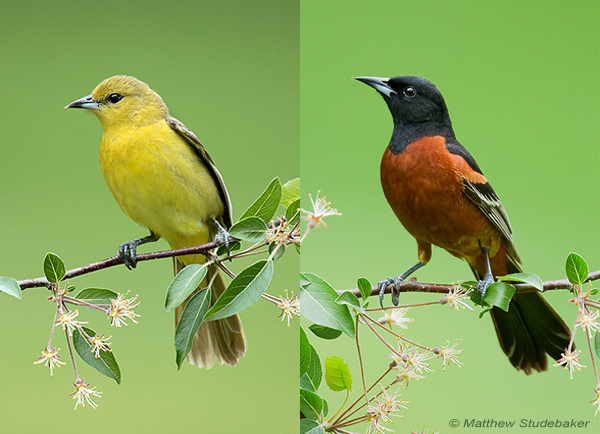 Even the Orchard Orioles - like the pair seen here (female L, male R) - that nested in the tree behind the Sidetrack Tap have gone south. But the cardinals aren’t going anywhere. Neither are the chickadees. Lake Wobegon may be a myth, but you can experience the Lake Wobegon Trail. Find it, or a public land near you, below. Today BirdNote looks in on Garrison Keillor’s mythical Lake Wobegon. It was sunny and nice in Mist County this week, but it was quiet. 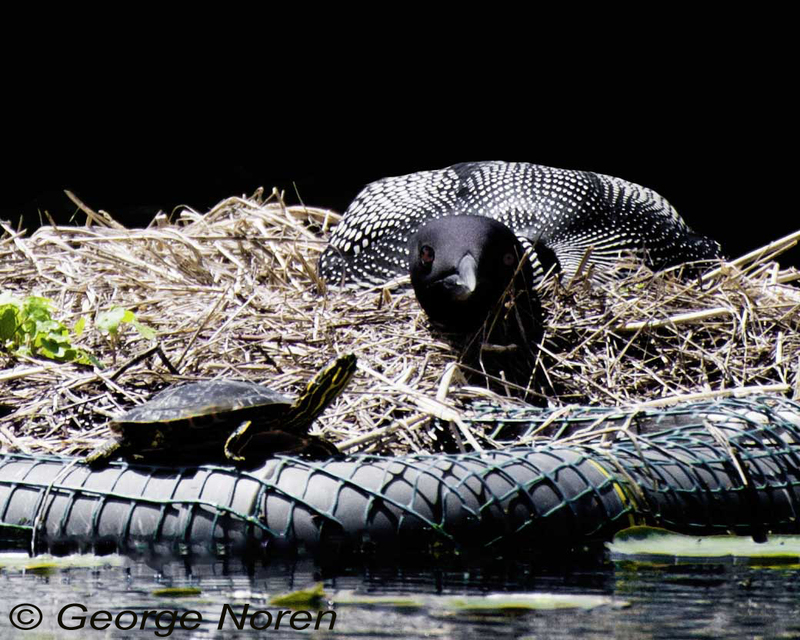 The loons – nesting out on Lake Wobegon – gave those eerie, unforgettable calls all summer long [Common Loons calling]. People out in their boats stopped and listened when they heard those loons, pulled their oars right out of the water. 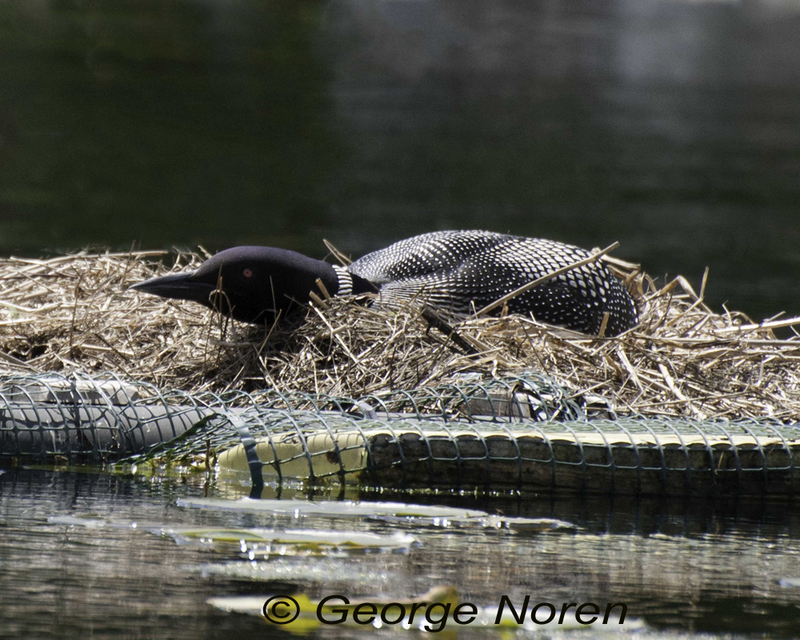 The loons have finished nesting, and gone quiet. Their fledglings, of course, were all above average. And Purple Martins nesting in the big box on the pole outside the Chatterbox Café… [Purple Martin song] Well, they’d been chirping happily out there since May. They pulled out last weekend, headed for South America. Even the Orchard Orioles in the tree in back of the Sidetrack Tap [Orchard Oriole song] – gone south. Quiet. Sadly, they’re gone. [the lake lapping] But birding at the lake is still “pretty good.” The cardinals aren’t going anywhere. 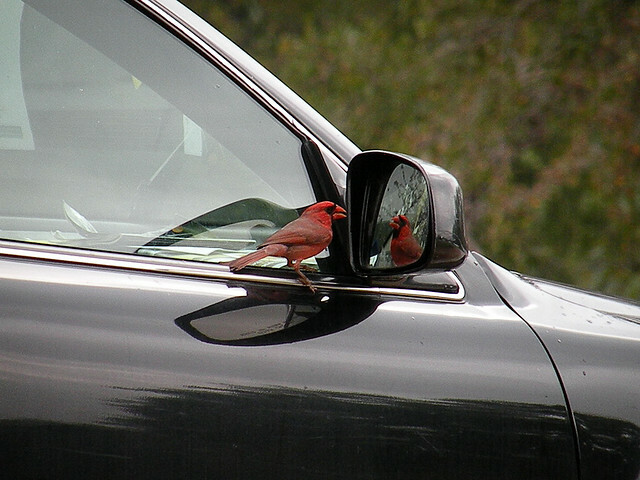 [Northern Cardinal song] Neither are the chickadees. Lake Wobegon may be a myth but you can actually walk on the Lake Wobegon Trail. Yup, it’s for real! Find it, or a public land near you, when you begin at our website. And in September, we invite you to celebrate National Public Lands Day. Begin at birdnote.org. Bird sounds provided by The Macaulay Library of Natural Sounds at the Cornell Lab of Ornithology, Ithaca, New York. Wail call of the Common Loon  recorded by S.R. Pantel; song of Purple Martins  by G.A. Keller; song of Orchard Oriole  by G.F. Budney; song of Northern Cardinal  by G.A. 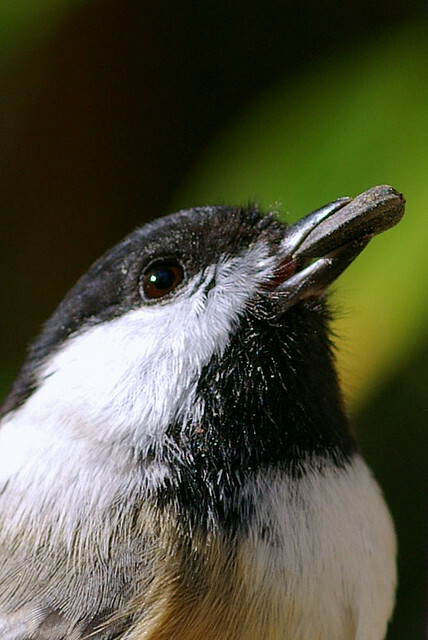 Keller; and call of Black-capped Chickadee  by R.S. Little.